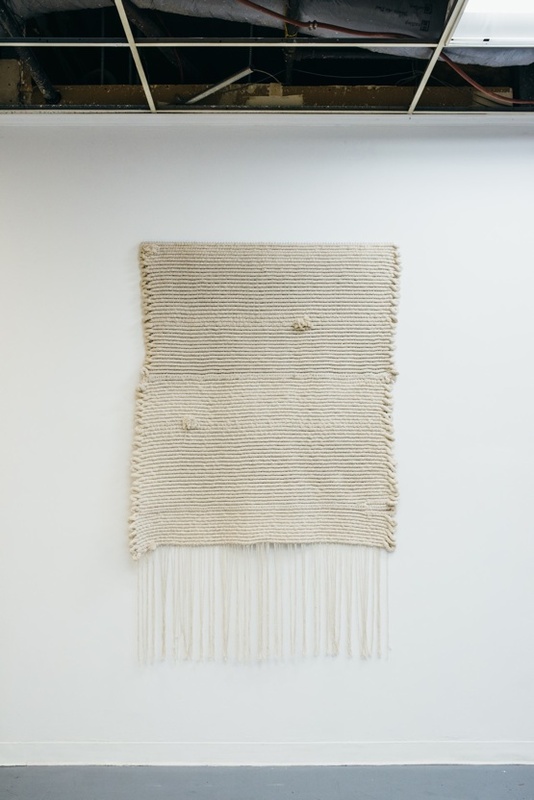 Tiger Strikes Asteroid is pleased to present, PLANT ANIMAL MINERAL, a site specific installation of weavings by Hannah Vainstein. In the digital age the hand made is important, an exchange between materials and the body, each informing the other. Culling upon the Linnaean taxonomy, PLANT ANIMAL MINERAL, Vainstein uses clay, wool, wax, rope, pigment and paper. 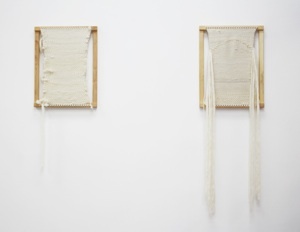 She combines explorations in these materials to form a dialogue of formal elements. 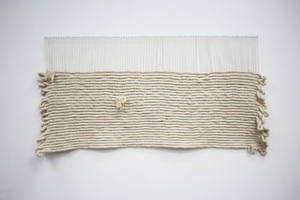 These works explore materials and processes that evoke movement. 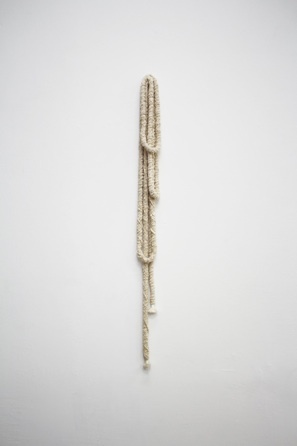 Vainstein considers the exchange between the body and the materials in constructing these objects, leaving a haptic gesture as evidence of the process. Haptic refers to the sense of touch, in particular to the perception and manipulation of objects using the senses of touch and proprioception. Proprioception is the sense of the relative position of neighboring parts of the body and strength of effort being employed in movement. 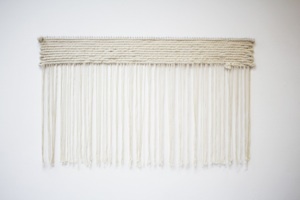 In weaving, one used the expanse of the arms, hands, and fingers to thread and pull the weft through the warp. 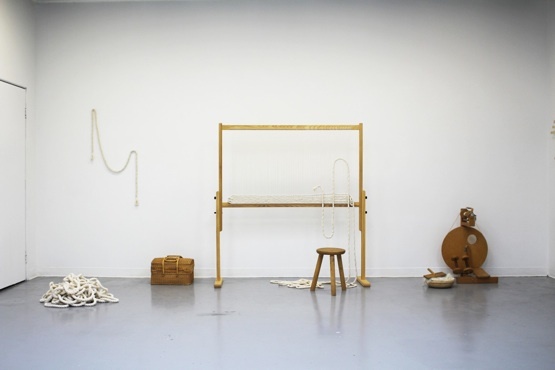 For a site specific installation exploring the body, materiality and means of production, Vainstein will be including her looms, spinning wheel, and carders.